Classic Army's decade of daring design, experience and knowledge has added another innovative feather to this Hong Kong company's cap: the Classic Army M132 Microgun HPA/Gas Airsoft Gun from Airsoft GI. 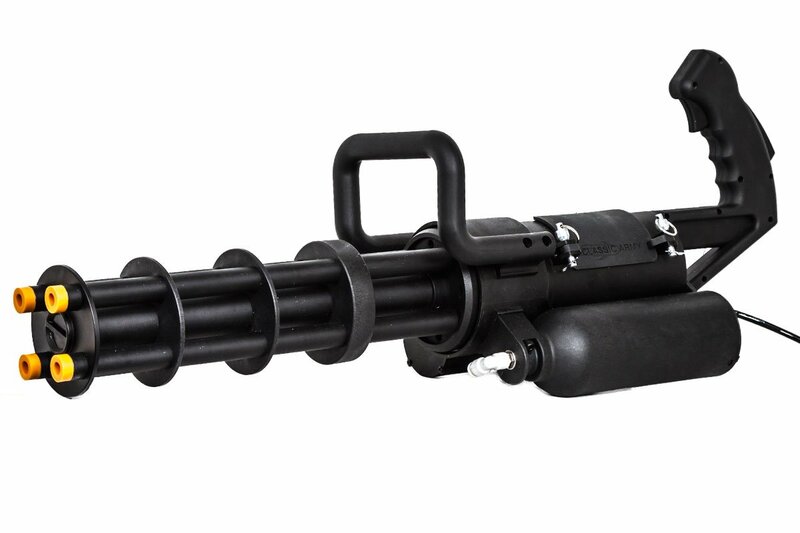 The long-awaited Classic Army M132 Microgun has finally become a reality as a functional minigun-style airsoft gun. 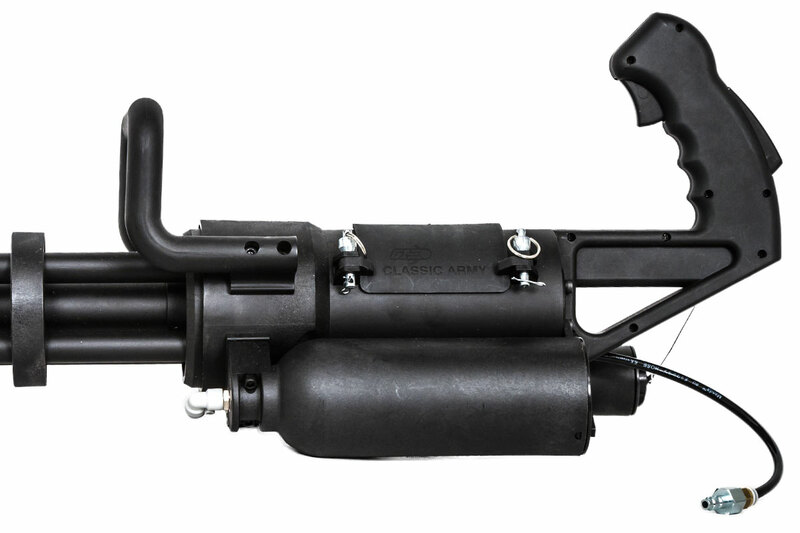 The M132 has a reinforced polymer construction with an exceptionally light weight of 9 pounds. The light weight and compact design of this microgun will definitely assist you while carrying this monster all day on the field. 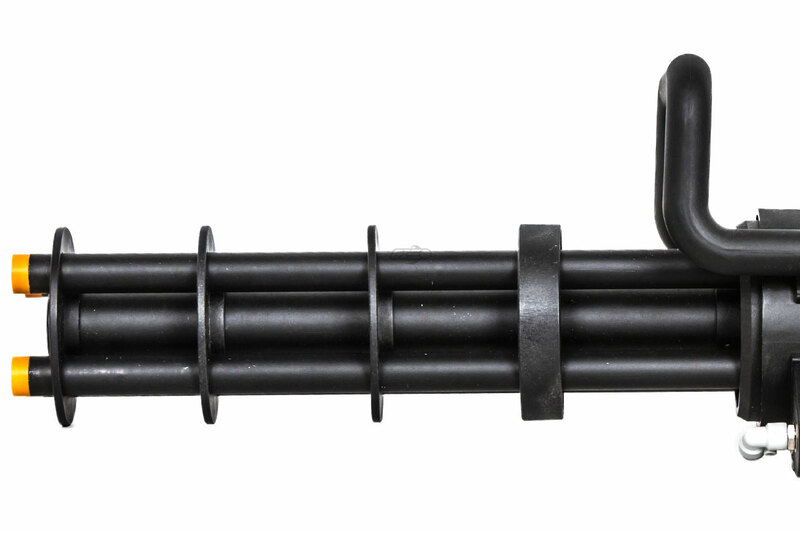 Integrated into the M132 is a 2,200-round magazine compartment spring loaded to ensure it will feed BBs in any direction the airsoft gun is facing. You will have enough ammo to come out on top in even the longest battles. This gun delivers the power to suppress your opponents with its fire rate of 38 rounds per second. This airsoft M132 is also highly customizable. 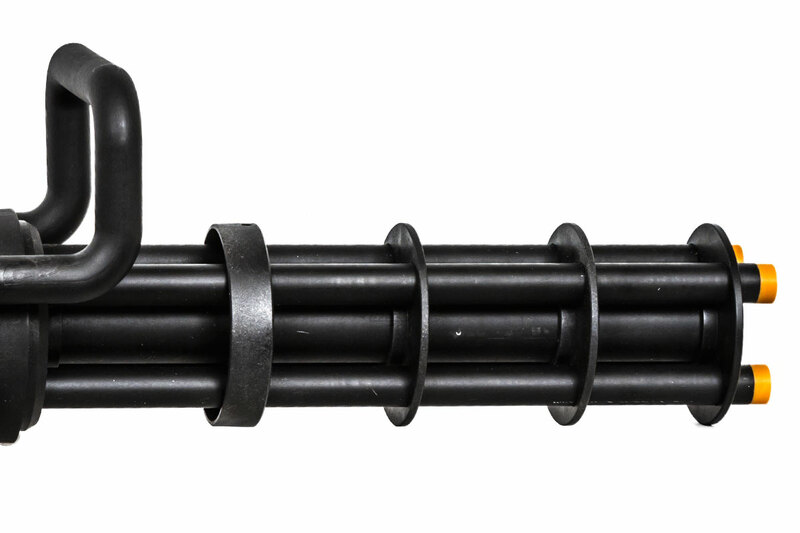 The 4x barrel system is compatible with standard AEG barrels, hopups and buckings for simple access to upgrade the M132. The system rotates the barrels with an electronic motor powered with a battery up to 12 volts/5 amps (11.1v LiPo recommended). 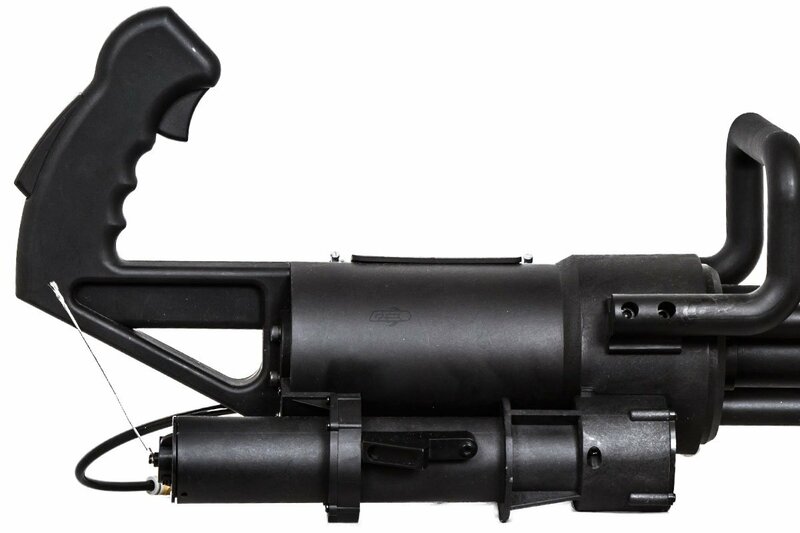 Shooting the M132 Microgun requires either an HPA rig setup (adjustable FPS, depending on regulator/PSI output) or a green gas canister that is inserted into the airsoft gun. Set your primary rifle aside and equip yourself with the Classic Army M132 Microgun to dominate the field. 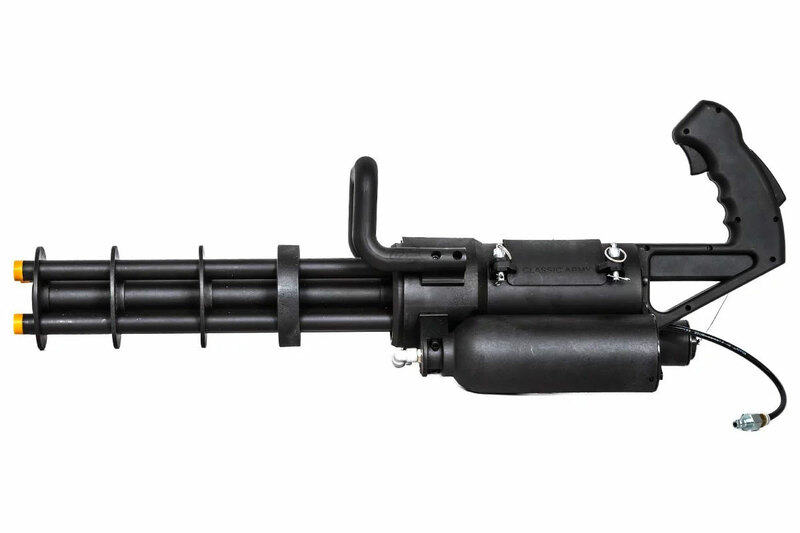 Check out an airsoft minigun YouTube video, come into one of our stores and try one of these amazing new weapons yourself or call us and chat with one of our gaming staff members for expert advice. This bad boy is light. My first HPA set up, it was a bit weird at first. But, I got used to it pretty quick. The range is decent, accuracy not the best if you don't adjust the hop up one barrel at a time. I m really happy about this gun. Now, since I got this HPA set up. 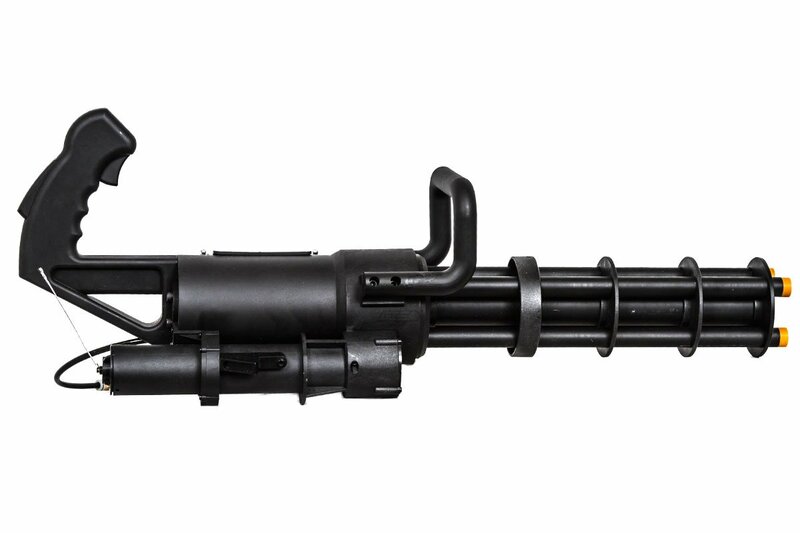 I really want to buy this gun's big brother the M134 minigun. Whatâ€™s the ideal tank and regulator to use? Anything that can make sure your max pressure is 120PSI or less will work just fine. You would lower the FPS using the regulator (not included). When are they going to send them out? Release date has changed several times. You will receive an email when it is on the way. When is the classic army m132 realise date? When is airsoft GI going to have this back in stock? This item is currently available right now. Are there any good points on the M132 to attach a sling? Unfortunately there aren't any great spots to attach a normal sling to. It would be possible to fasten a 2 point around the front and rear handle if you wanted though.